I used the sponge technique when I created my Galaxy Nails, tutorial here, and loved this technique that I tried it again. I was inspired by the colors of fall to create this nail design. This manicure is so simple to create and will turn out fabulous with any color combinations you choose. 1. 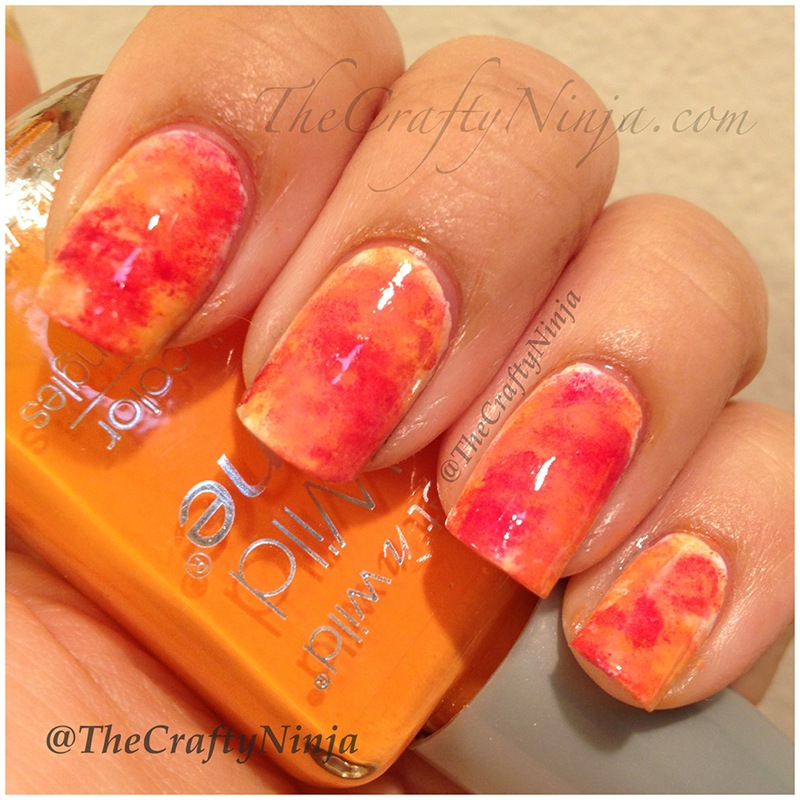 To create this sponge design first tear small pieces of the makeup sponge using tweezers, have all your nail polishes open and ready to use, the colors I used are fall colors from yellows, oranges, to reds. 2. 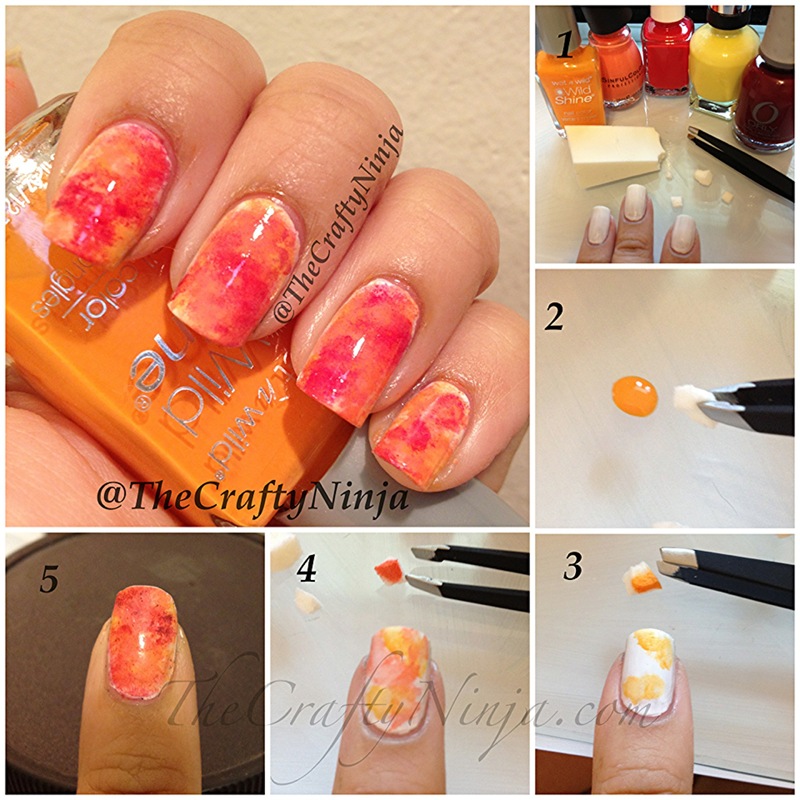 Dab the nail polish onto a piece of paper, pick up the sponge with tweezers. 3. I have dry white nail polish as the base color, be sure that the polish is dry before applying the sponge. Pick up the color and dab the sponge to the nail. 4. Pick up another clean sponge and dab it into the next color. 5. Repeat each step with all the colors, be sure you use a clean sponge each time. Apply top coat to seal and protect.